The band was founded in 2002 and one year later released their first album "Kill Maim Burn". End of 2003 they toured together with Napalm Death. After a long search for a label they released their second studio-album "Rage of the Bloodbeast". Nowadays they play at big metal festivals such as the Bringer of Death III in September 2005 and tour in fall of this year through europe with Six Feet Under. 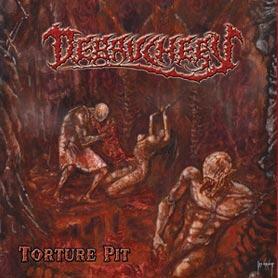 November 17th 2005 their third album "Torture Pit" was released. In February 2006 they played a europe-tour with dismember. In June 2006 Dani was kicked out because he thrashed on stage with Thomas during their show at the "Queens of Metal Open Air". 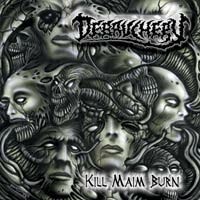 We proudly announce that Debauchery was signed by AFM Records! 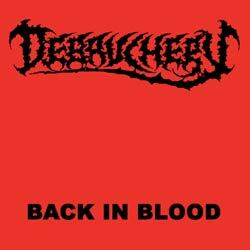 The upcoming album "Back In Blood" will be released in 2007 as a double CD in a digipack containing 11 new Debauchery songs and 7 cover versions of Rammstein, the Beatles and many more!